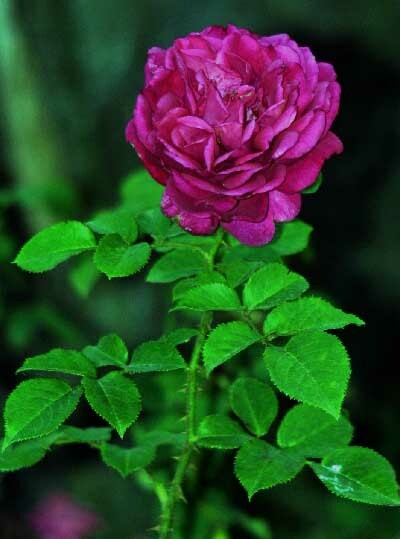 “Lover's Delite” is a 4 foot shrub rose with deep violet blooms. It is very fragrant, having the typical Tea rose fragrance. We have only been growing it in our gardens since 2002, but it has held up very well in both the heat and cold.